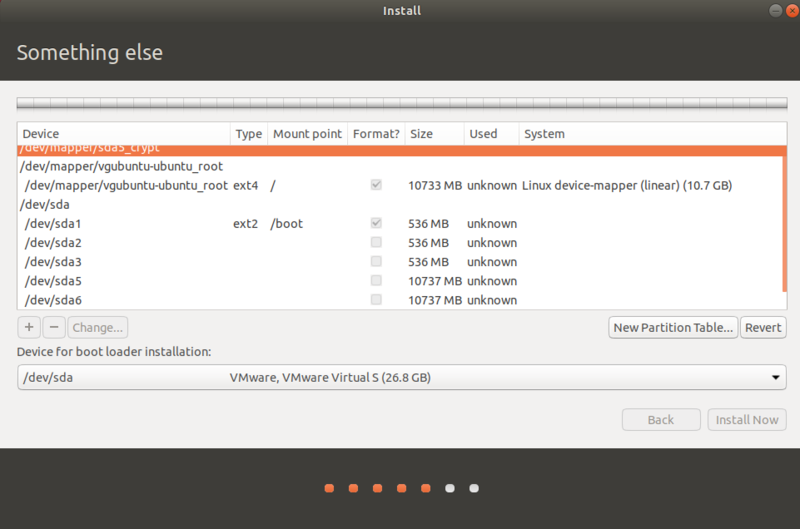 Ubuntu 13.04 installation disk has an option to install Ubuntu encrypted using LUKS. However, there is no option to perform an encrypted installation along-side existing partitions for a dual-boot scenario. 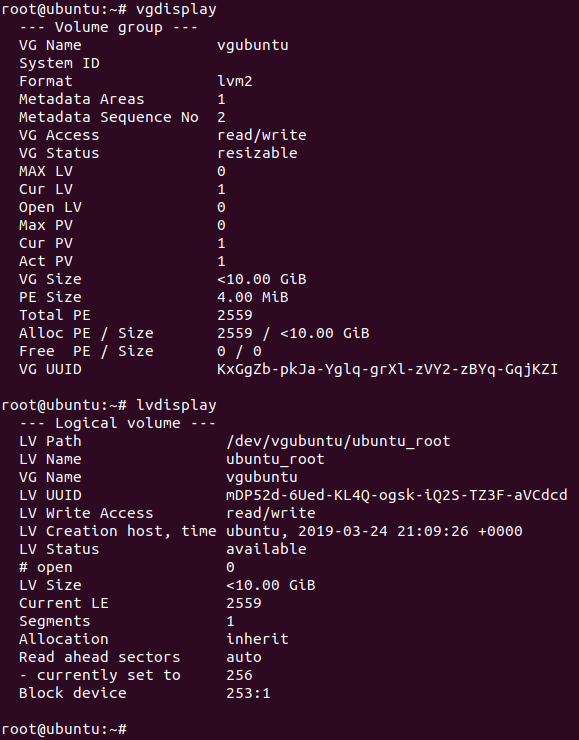 How can I install Ubuntu encrypted alongside another partition from the live disk? 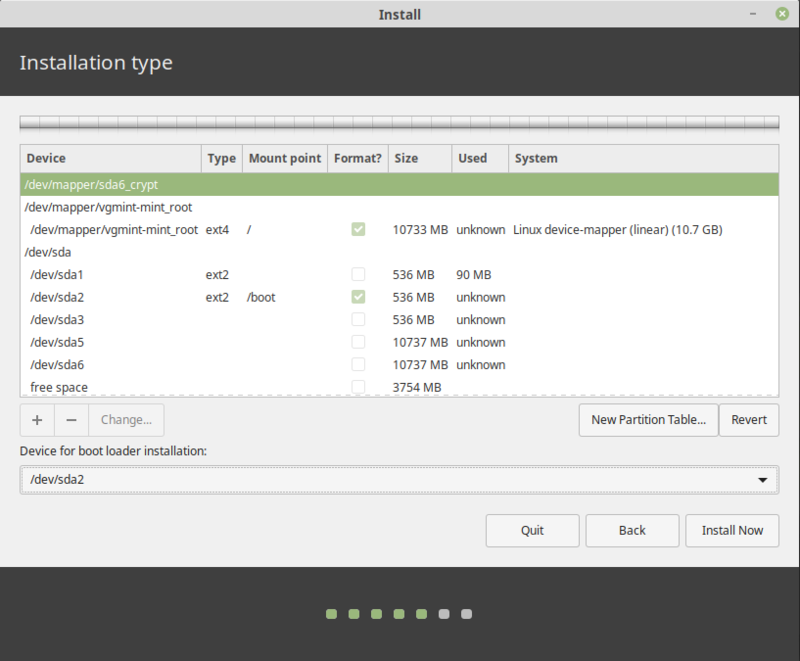 First of all, if you want to install Ubuntu encrypted on a hard disk, replacing any existing partitions and operating systems, you can do this directly from the graphical installer. This manual process is only required for dual-booting. This answer has been tested with Ubuntu 13.04. 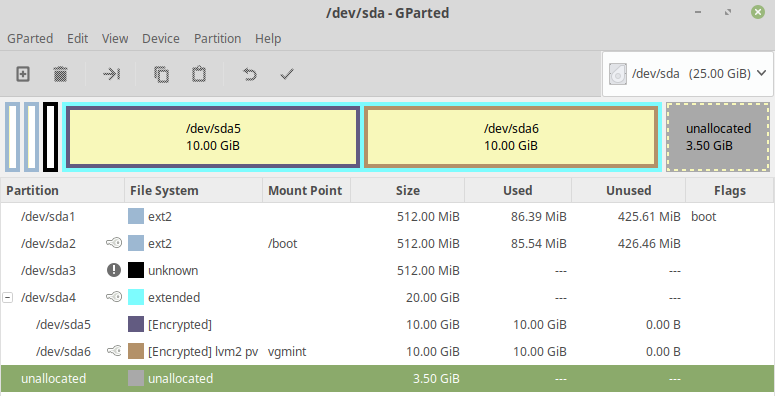 Create two partitions using GParted included in the live disk. 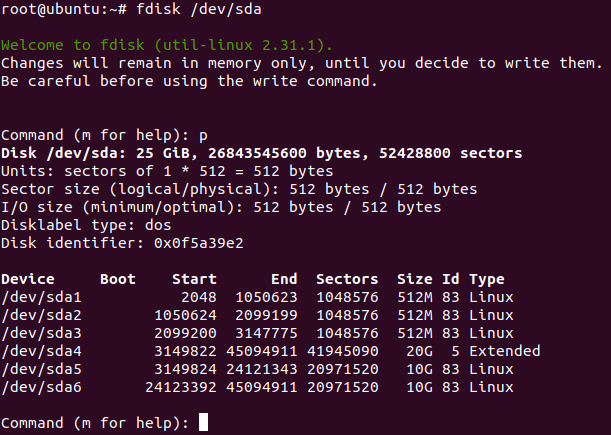 The first partition should be unformatted and should be large enough for root and swap, in my example, this is /dev/sda3. The second partition should be several hundred megabytes big and formatted in ext2 or ext3, it will be unencrypted and mounted to /boot (in my example this is /dev/sda4). Create a LUKS container using these commands. 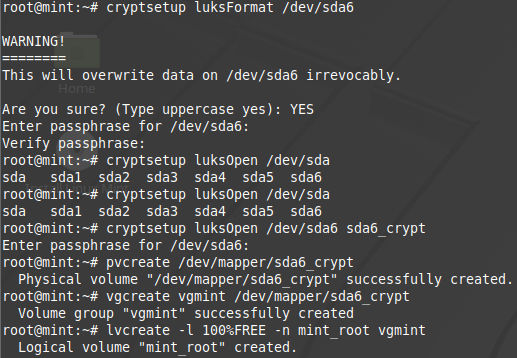 Replace /dev/sda3 with the unformatted partition created earlier, and cryptcherries with a name of your choice. Inside the mounted LUKS container, create an LVM physical volume, a volume group and two logical volumes. The first logical volume will be mounted at /, and the second one will be used as swap. vgcherries is the name of the volume group, and lvcherriesroot and lvcherriesswap are the names of the logical volumes, you can choose your own. 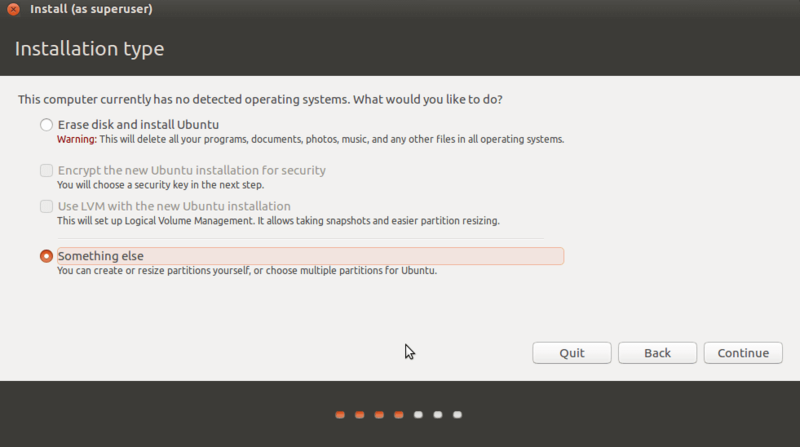 Without rebooting, install Ubuntu using the graphical installer (shortcut is on the desktop in Xubuntu 18.04), choosing manual partitioning. Assign / to /dev/mapper/vgcherries-lvcherriesroot and /boot to the unencrypted partition created in step 2 (in this example,/dev/sda4). 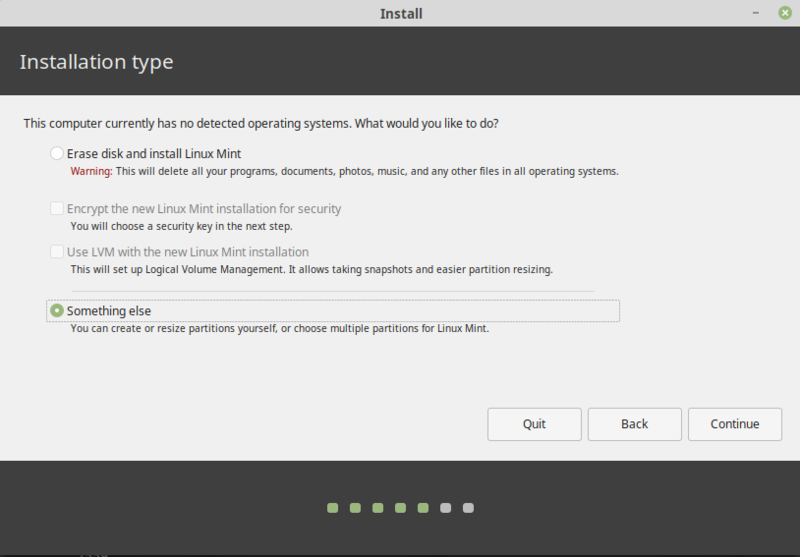 On this answer, I am presenting a step by step (with pictures) installation of Linux Mint 19.1 XFCE and Ubuntu 18.04.2, both fully encrypted in a single disk. 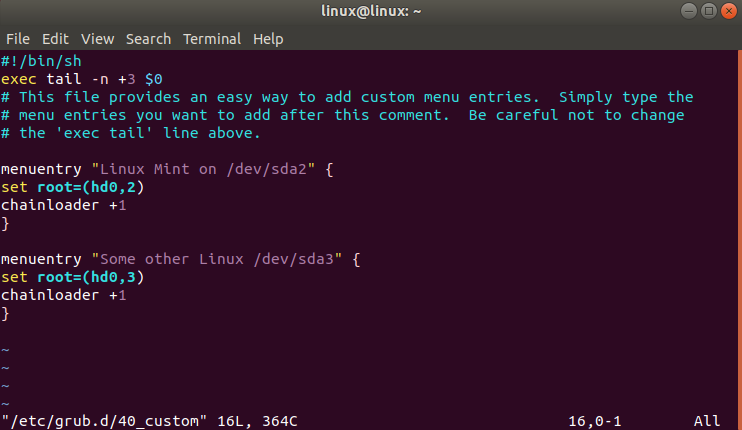 First I installed Ubuntu 14.04.2 on /dev/sda5 and I did not create the swap partitions because Linux Mint 19.1 and Ubuntu 18.04.2 do not use them, i.e., they use swap files. /dev/mapper/vgubuntu-ubuntu_root mounted as / with ext4 format. For more detailed instructions, read the original tutorial https://www.oxygenimpaired.com/multiple-linux-distro-installs-on-a-luks-encrypted-harddrive and search on google about these commands. 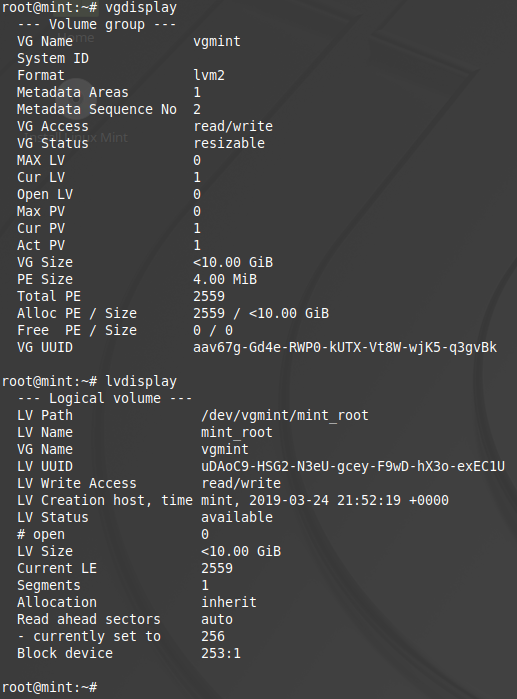 /dev/mapper/vgmint-mint_root mounted as / with ext4 format. Here are some instructions for what I just did with a dell inspiron 5000. 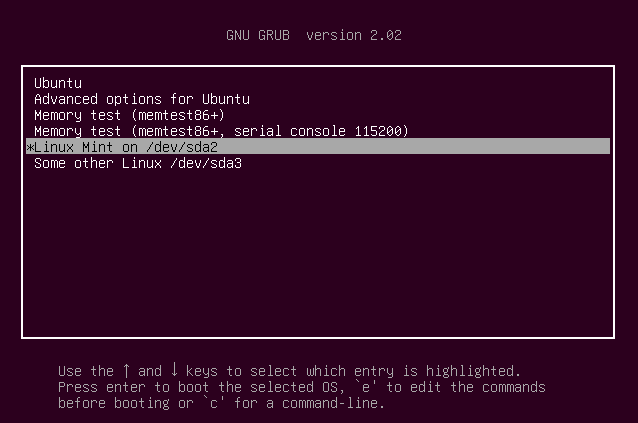 I tried the selected answer but it didn't work for me after doing a dist-upgrade and update-grub (to add windows to my grubconf). Its possible to dual boot install ubuntu 18.10 with windows 10, and you don't have to do all the commandline things or use the Ubuntu LiveUSB mode. disable secure boot (if you have bitlocker you will need to renable it to securely boot into windows each time) - this is fine for me since Ubu is my primary OS, just use windoze for gaming. When you get to the screen that says "erase entire disk" and has some checkboxes, click the "Something else" (manual partitioning) option. If you hit ERASE ENTIRE DISK you are replacing your windows install, don't do that! Click that and hit the add button to create partitions. - Then the rest of the install process will work like usual. relax. Once you’ve booted in the first time, do an apt-get update and dist-upgrade, reboot again. Not the answer you're looking for? Browse other questions tagged system-installation ubiquity luks or ask your own question.